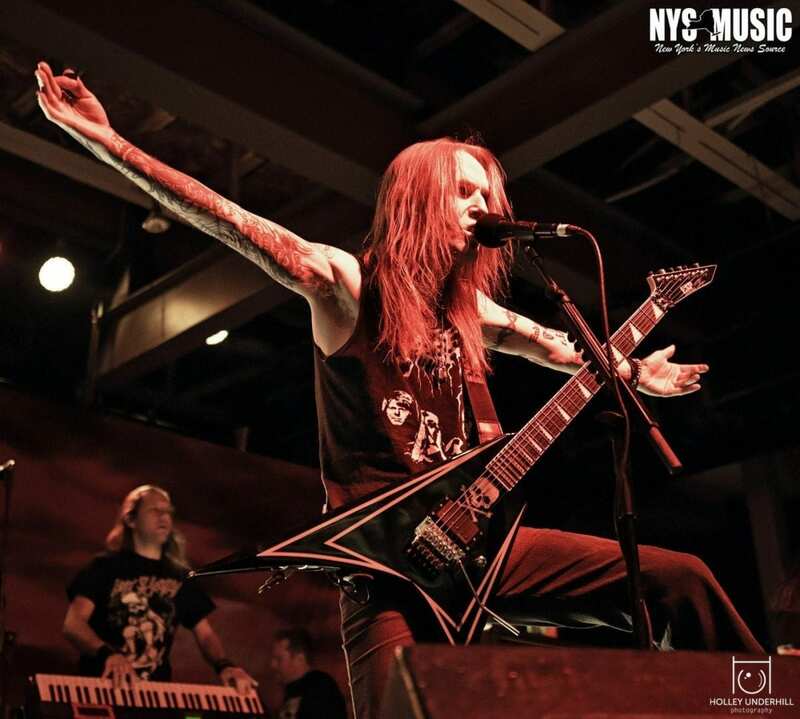 Rochester welcomed back Finnish death metal band, Children Of Bodom on Sunday with their commemorative tour celebrating the release of their first album, Something Wild. The American leg of their 20 Years Down & Dirty Tour hit 24 for cities, Rochester being the last American stop before heading for Canada. 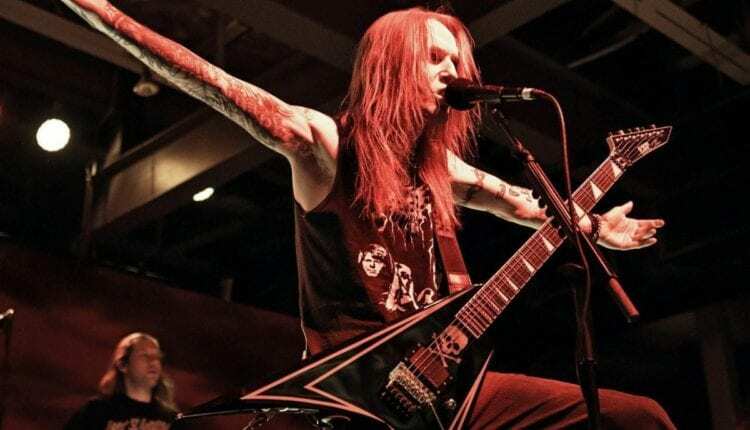 Joining Children Of Bodom on tour were fellow Finnish Thrash Metal band, Lost Society and Carach Angren, a Black Metal band from the Netherlands along with Uncured, a Death Metal band from New York City. This tour wasn’t one to miss, reaching both new and old Children Of Bodom fans, playing songs from their first three albums. The crowd showed diversity in sporting a variety of shirts, patches and attire, drawing in metalheads from as far as Albany and Syracuse to Anthology, a restored multi-level auto warehouse on East Avenue. While the crowd initially looked sparse and scattered before the show began as the evening progressed more people began filtering in, filling up the venue. NYC’s own Progressive Death Metal four piece, Uncured kicked the night off. The band released it’s first full length album Medusa in March 2017.Uncured features brothers Zak and Rex Cox on guitars and vocals, Liam Manley on drums, and Jon Kita on bass. Following Uncured were fellow Finns, Lost Society who unleashed their energy, keeping the crowd wanting. Hailing from Jyväskylä, Finland, the band consists of guitarist and lead vocalist Samy Elbanna, guitarist and backing vocalist Arttu Lesonen, bassist and backing vocalist Mirko Lehtinen, and drummer Ossi Paananen. The third band, Carach Angren added an interesting and darker change in atmosphere and was met with an enthusiastic crowd. The band sported corpse paint, an interesting mic stand which included a spinal chord and hip bones, which the vocalist temporarily sporting a skull mask and crown for their set. Carach Angren is Dennis “Seregor” Droomers on vocals, Clemens “Ardek” Wijers on keyboard and Ivo “Namtar” Wijers on drums. By the time the final and headlinging band, Children of Bodom, took the stage, the crowd was riled, ready and waiting. Frontman Alexi Laiho wasted no time adding a special touch in the getting CoB fans pumped up and wanting more, eagerly met with the crowd throwing up their “horns.” The band’s return to Rochester was well received after the long wait with their prior show with Black Label Society and Clutch at the Main Street Armory on January 30, 2012. Children of Bodom is Alexi Laiho on vocals/lead guitar, keyboardist Janne Wirman, bassist Henkka Seppälä, drummer Jaska Raatikainen and Daniel Freyberg on rhythm guitar. Encore: The Nail and Towards Dead End.